This five-day instructor-led course provides students who administer and maintain SQL Server databases with the knowledge and skills to administer a SQL server database infrastructure. Additionally, it will be of use to individuals who develop applications that deliver content from SQL Server databases. Audience profile The primary audience for this course is individuals who administer and maintain SQL Server databases. These individuals perform database administration and maintenance as their primary area of responsibility, or work in environments where databases play a key role in their primary job. The secondary audiences for this course are individuals who develop applications that deliver content from SQL Server databases. - Module 2: Assigning Server and Database RolesUsing roles simplifies the management of user permissions. With roles, you can control authenticated users’ access to system resources based on each user’s job function—rather than assigning permissions user-by-user, you can grant permissions to a role, then make users members of roles. Microsoft SQL Server includes support for security roles defined at server level and at database level. - Module 3: Authorizing Users to Access ResourcesIn the previous modules, you have seen how Microsoft SQL Server security is organized and how sets of permissions can be assigned at the server and database level by using fixed server roles, user-defined server roles, fixed database roles, and application roles. The final step in authorizing users to access SQL Server resources is the authorization of users and roles to access server and database objects. In this module, you will see how these object permissions are managed. In addition to access permissions on database objects, SQL Server provides the ability to determine which users are allowed to execute code, such as stored procedures and functions. In many cases, these permissions and the permissions on the database objects are best configured at the schema level rather than at the level of the individual object. Schema-based permission grants can simplify your security architecture. You will explore the granting of permissions at the schema level in the final lesson of this module. - Module 5: Recovery Models and Backup StrategiesOne of the most important aspects of a database administrator's role is ensuring that organizational data is reliably backed up so that, if a failure occurs, you can recover the data. Even though the computing industry has known about the need for reliable backup strategies for decades—and discussed this at great length—unfortunate stories regarding data loss are still commonplace. A further problem is that, even when the strategies in place work as they were designed, the outcomes still regularly fail to meet an organization’s operational requirements. In this module, you will consider how to create a strategy that is aligned with organizational needs, based on the available backup models, and the role of the transaction logs in maintaining database consistency. - Module 6: Backing Up SQL Server DatabasesIn the previous module, you learned how to plan a backup strategy for a SQL Server system. You can now learn how to perform SQL Server backups, including full and differential database backups, transaction log backups, and partial backups. In this module, you will learn how to apply various backup strategies. - Module 7: Restoring SQL Server 2016 DatabasesIn the previous module, you learned how to create backups of Microsoft SQL Server 2016 databases. A backup strategy might involve many different types of backup, so it is essential that you can effectively restore them. You will often be restoring a database in an urgent situation. You must, however, ensure that you have a clear plan of how to proceed and successfully recover the database to the required state. A good plan and understanding of the restore process can help avoid making the situation worse. Some database restores are related to system failure. In these cases, you will want to return the system as close as possible to the state it was in before the failure. Some failures, though, are related to human error and you might wish to recover the system to a point before that error. The point-in-time recovery features of SQL Server 2016 can help you to achieve this. Because they are typically much larger, user databases are more likely to be affected by system failures than system databases. However, system databases can be affected by failures, and special care should be taken when recovering them. In particular, you need to understand how to recover each system database because you cannot use the same process for all system databases. In this module, you will see how to restore user and system databases and how to implement point-in-time recovery. - Module 8: Automating SQL Server ManagementThe tools provided by Microsoft SQL Server make administration easy when compared to some other database engines. However, even when tasks are easy to perform, it is common to have to repeat a task many times. Efficient database administrators learn to automate repetitive tasks. This can help to avoid situations where an administrator forgets to execute a task at the required time. Perhaps more importantly, the automation of tasks helps to ensure that they are performed consistently, each time they are executed. This module describes how to use SQL Server Agent to automate jobs, how to configure security contexts for jobs, and how to implement multiserver jobs. - Module 9: Configuring Security for SQL Server AgentOther modules in this course have demonstrated the need to minimize the permissions that are granted to users, following the principle of “least privilege.” This means that users have only the permissions that they need to perform their tasks. The same logic applies to the granting of permissions to SQL Server Agent. Although it is easy to execute all jobs in the context of the SQL Server Agent service account, and to configure that account as an administrative account, a poor security environment would result from doing this. It is important to understand how to create a minimal privilege security environment for jobs that run in SQL Server Agent. - Module 10: Monitoring SQL Server with Alerts and NotificationsOne key aspect of managing Microsoft SQL Server in a proactive manner is to make sure you are aware of problems and events that occur in the server, as they happen. SQL Server logs a wealth of information about issues. You can configure it to advise you automatically when these issues occur, by using alerts and notifications. The most common way that SQL Server database administrators receive details of events of interest is by email message. This module covers the configuration of Database Mail, alerts, and notifications for a SQL Server instance, and the configuration of alerts for Microsoft Azure SQL Database. - Module 11: Introduction to Managing SQL Server by using PowerShellThis module looks at how to use Windows PowerShell with Microsoft SQL Server. Businesses are constantly having to increase the efficiency and reliability of maintaining their IT infrastructure; with PowerShell, you can improve this efficiency and reliability by creating scripts to carry out tasks. PowerShell scripts can be tested and applied multiple times to multiple servers, saving your organization both time and money. - Module 12: Tracing Access to SQL Server with Extended eventsMonitoring performance metrics provides a great way to assess the overall performance of a database solution. However, there are occasions when you need to perform more detailed analysis of the activity occurring within a Microsoft SQL Server instance—to troubleshoot problems and identify ways to optimize workload performance. SQL Server Extended Events is a flexible, lightweight event-handling system built into the Microsoft SQL Server Database Engine. This module focuses on the architectural concepts, troubleshooting strategies and usage scenarios of Extended Events. - Module 13: Monitoring SQL Server The Microsoft SQL Server Database Engine can run for long periods without the need for administrative attention. However, if you regularly monitor the activity that occurs on the database server, you can deal with potential issues before they arise. SQL Server provides a number of tools that you can use to monitor current activity and record details of previous activity. You need to become familiar with what each of the tools does and how to use them. It is easy to become overwhelmed by the volume of output that monitoring tools can provide, so you also need to learn techniques for analyzing their output. - Module 14: Troubleshooting SQL ServerDatabase administrators working with Microsoft SQL Server need to adopt the important role of troubleshooter when issues arise—particularly if users of business-critical applications that rely on SQL Server databases are being prevented from working. It is important to have a solid methodology for resolving issues in general, and to be familiar with the most common issues that can arise when working with SQL Server systems. - Module 15: Importing and Exporting DataWhile a great deal of data residing in a Microsoft SQL Server system is entered directly by users who are running application programs, there is often a need to move data in other locations, to and from SQL Server. 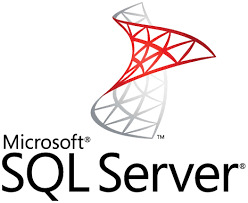 SQL Server provides a set of tools you can use to transfer data in and out. Some of these tools, such as the bcp (Bulk Copy Program) utility and SQL Server Integration Services, are external to the database engine. Other tools, such as the BULK INSERT statement and the OPENROWSET function, are implemented in the database engine. With SQL Server, you can also create data-tier applications that package all the tables, views, and instance objects associated with a user database into a single unit of deployment. In this module, you will explore these tools and techniques so that you can import and export data to and from SQL Server.